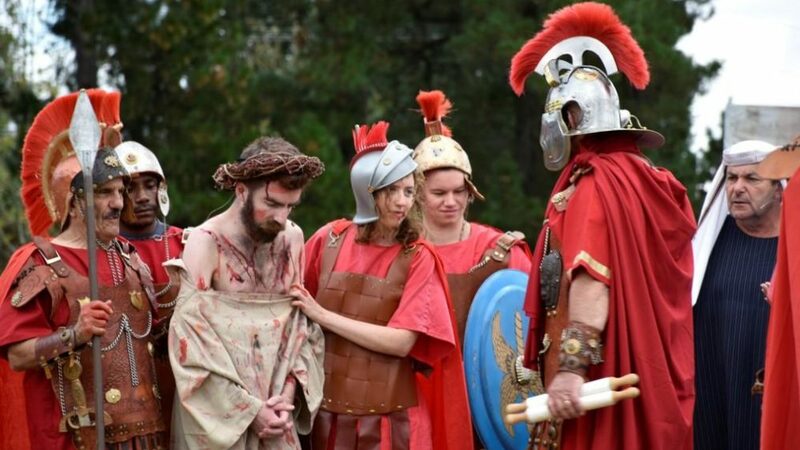 After 23 years, the annual Melbourne Passion Play still attracts thousands. If you can’t wait to experience Oberammergau’s famous Passion Play in Germany next year, then maybe you don’t have to. Australia has its own version: the Melbourne Passion Play. And unlike its renowned German counterpart, our play is staged every year – rather than just once per decade. This year marks the 23rd season of the Melbourne Passion Play, which has “become an institution” and “an event not to be missed,” according to the play’s manager Gino Gammaldi. It now attracts thousands of people each year from all over Victoria, interstate and even from overseas. Like most Aussie activities, one defining feature of the Melbourne Passion Play is its outdoor setting. 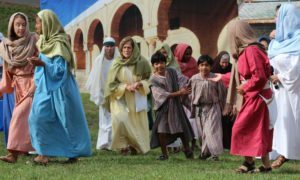 This allows the audience to progressively move with the cast during some of the 24 scenes of Jesus’s life that are acted out – starting with his baptism and ending with the resurrection. Audience members become part of the story, joining the “crowd of 5000” who sit at Jesus’s feet to hear the Beatitudes before being fed with loaves and fishes and standing with those who watch the crucifixion. “[It’s] not the usual and traditional reference to the Passion that is a part of Holy Week within the churches of most religious denominations, but a real scene-by-scene representation of the ministry of Jesus by real people in real, natural surroundings,” Gammaldi tells Eternity. The Melbourne Passion Play in action. This year it is being staged in the Melbourne suburb of Templestowe at the Holy Cross Centre, a lush garden retreat owned by the Passionist community. For many years previously, the Easter event was held at Ruffey Lake Park in Doncaster. To keep the play fresh each year and “maintain the tradition and the high standard that audiences have come to expect,” Gammaldi says the producers constantly seek new cast members to join. In many other ways the organisation of this theatrical feat also goes far beyond the average amateur production. The Melbourne Passion Play boasts a professional director, Robert Durai, a host of administration, publicity and staging officers, and even theological consultants and script advisors. For the actors, weekly rehearsals are held for a period of around six weeks. As manager, Gammaldi has the daunting task of “ensuring all elements come together seamlessly and on time.” He does this while also “maintaining law and order” in an acting role as Centurion Quintus Cassius, who commands a legion of more than 20 soldiers. Gammaldi notes that the play has evolved greatly since its humble beginnings, thanks to the input of different directors and actors over the years. The founder and producer of the play, Pat Le Manna (who stills funds performances), puts its success down to God’s help. 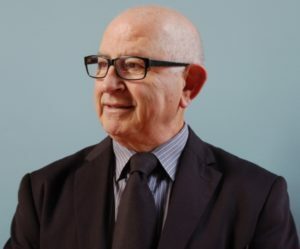 In a video interview with the Catholic Archdiocese of Melbourne, Le Manna describes his reaction when he believed God had told him to establish a passion play in Australia like the one in Oberammergau: “How can a man with a very poor education produce the greatest story ever told?” he said. 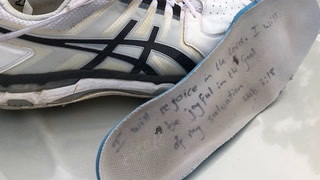 According to Le Manna, the focus of the Melbourne Passion Play has always been about inclusivity and inviting people from any background into the Easter story. “We don’t preach, we are here to tell the story,” he said. It’s a formula that seems to be working. “[The] audience response to the play has been more than just positive; it’s been heartfelt. Because, as they move from scene to scene with the actors, they become involved not just with the physical and visual impact of the event, but also with the pure inspiration that the enactment seems to have on them and on their progression of faith,” says Gammaldi. The Melbourne Passion Play performances will be held on Palm Sunday, April 14, and Good Friday, April 19. For more information, go to passionplay.info.